Happy St. Patrick’s Day from Lemoney! You may know the history of St. Patrick – which tells he is not really Irish and ‘Patrick’ is not his real name. 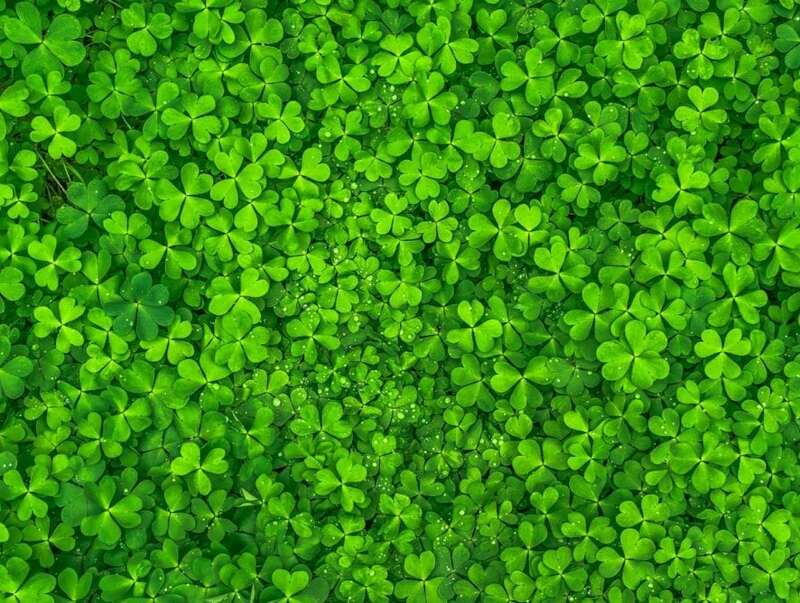 However, to celebrate March 17, we decided to tell you 17 Fun Facts You Didn’t Know About St. Patrick’s Day! St. Patrick wore blue instead of green! There are some theories of how the blue turned into green over the years. First of them is the Irish folklore tale of immortals and fairies wearing green and how green was thought to attract a good growing season for crops. Another theory is with the rise of nationalism; in which green was the unifying color. So, decide which color to wear this year on March 17 with special Bloomingdale’s deals. 2. The leprechauns are Irish Fairies! In the 1960s the city administration used a green dye to find out which buildings were sending waste into the river. Anywhere the river turned green, someone was dumping waste illegally. The general chairman of the Saint Patrick’s Day parade saw the dye and reportedly shouted, “Eureka!” He ordered the entire river colored green for the next parade, a feat accomplished by dumping 100 pounds of the dye into it. The color lasted an entire week. The tradition of dyeing the river green started! You can now watch the river turn green by renting a car from Avis at http://www.lemoney.com/stores/avis-rent-a-car and go on a road trip to Chicago and still get some cash back to pay for beers. The dye that is used to make the river green is actually orange powder with a secret formula. However, when the dye blends in with the Chicago River it turns the water into a perfect tone of St. Patrick’s Day green. If Chicago is not a road trip away, you can book a flight with CheapAir.com at http://www.lemoney.com/stores/cheapair-com and get even more cash back to celebrate! Until 1961, the Irish laws outlawed bars to be open on March 17, because it was in Lent season and not drinking was a mark of respect for this religious period. If you want to learn more about the prohibition of alcohol, you can get cash back and check the rare books of Betterworld.com. Many people believe the saint is buried in Down Cathedral County, in Down, Ireland – although no one is really sure. Travel with Expedia at http://www.lemoney.com/stores/expedia-inc and find out where he is buried! Aside from the cash back you can become famous for solving this mystery! One of the myths surrounding St. Patrick is that he drove all the snakes out of Ireland. By the way, there is no registry of the island dominated by snakes! Some sources say that snakes are a metaphor. Visit Ireland and get to the bottom of this story! You can earn cash back when you book your trip at Booking.com at http://www.lemoney.com/stores/booking-com. The first parade didn’t take place in Ireland; it took place in New York in 1762. So go celebrate St. Patrick’s in any parade you want by renting a car from Budget Rent A Car at http://www.lemoney.com/stores/budget-rent-a-car and use the cash back for gas! During his first 100 days, understandably very busy, President John F. Kennedy forgot about St. Patrick’s Day, and he was reminded with Ireland’s ambassador visiting him with a bowl of shamrock. Stay up to date by subscribing to newspapers via Discounted Newspapers at http://www.lemoney.com/stores/newspaper-subscriptions and use your cash back to buy a bowl of shamrock every year. The parade took place in Dripsey, Ireland, between two pubs, and it was considered one of the best parades ever! Create your own bar-hopping parade buy booking your reservations with Restaurants.com at http://www.lemoney.com/stores/restaurant-com and don’t forget to use some of your cash back to tip the waiter. 16. The Taoiseach’s bowl of Shamrock to the President is destroyed! For security reasons, it is not allowed to give any floral or food gifts to the US President. Therefore, after the St. Patrick’s Day ceremony, all the shamrocks are destroyed by the US Secret Service. So, instead of destroying all your shamrocks you can order Irish spy movies through Alibris.com at http://www.lemoney.com/stores/alibris-books-music-movies and use your cash back to buy popcorn. 39.6 million Americans claim Irish heritage, which is 7 times larger than the actual Ireland Population. But 87% of Ireland’s population is Irish for sure! This, St. Patrick’s Day you can also feel a little Irish and go visit your imaginary Irish relatives in Ireland, all really cheap with CheapOAir.com at http://www.lemoney.com/stores/cheapoair And guess what? You will get cash back with Lemoney to spend in Ireland! So don’t miss out on another deal! Check out our great online stores and get cash back on the things you would buy anyway with Lemoney! Happy St. Patrick’s Day shopping!